Jon Aquino's Mental Garden: A better Fitaly for five bucks! A better Fitaly for five bucks! 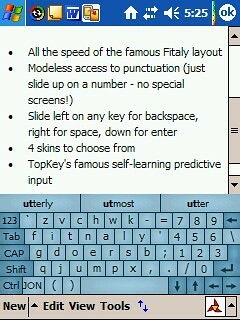 Here's the basic idea: Download TopKey for $5, then manually change the keyboard layout to the advanced "Fitnaly" layouts shown below. posted by Jonathan at 12/30/2004 05:37:00 p.m.